Since the word ‘cryptocurrency’ first entered our vocabulary, no one expected a flood of other cryptocurrencies to enter the market, one after another, within a short time frame. Without exaggerating, there are hundreds of cryptocurrencies out there. Tough competition, that’s for sure. As a result, many altcoins end up ‘dead’ (defined as no reported market cap). 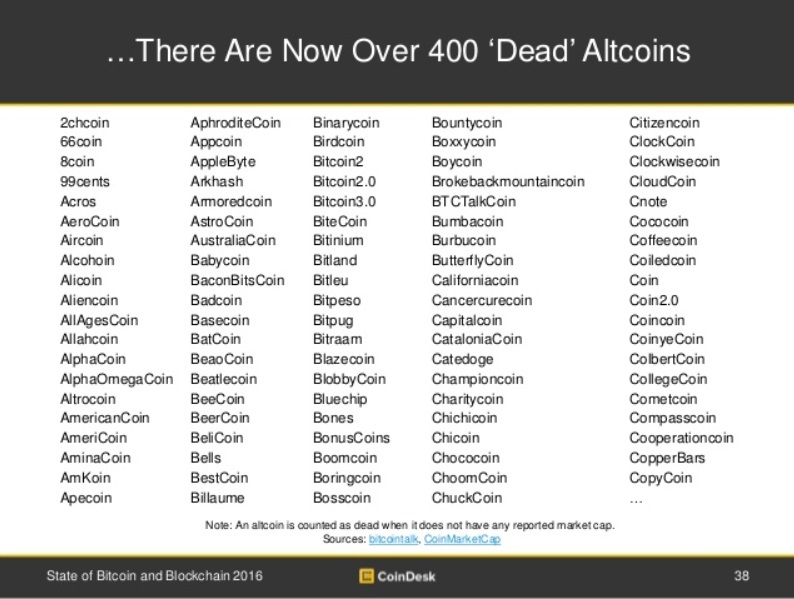 According to CoinDesk’s State of Bitcoin and Blockchain report 2015, there are over 400 ‘dead’ altcoins so far. That being said, some altcoins have managed to persevere and capture some of the cryptocurrency market share. On closer look, one can see why - it is no longer enough for cryptocurrencies to simply be mere cryptocurrencies. The target audience - which includes computer programmers and IT experts - will only give second considerations to outstanding altcoins that deserve their attention. Case in point - Ethereum, the second most popular network after Bitcoin (based on its market cap). This public blockchain platform can be used to execute peer-to-peer contracts using Ether, the cryptocurrency that is compatible with the Ethereum ecosystem. One interesting altcoin that emerged in 2016 is Lisk. Listed as LSK, this cryptocurrency is currently has the eighths biggest market cap, at 45 million US dollars (at the time of writing). 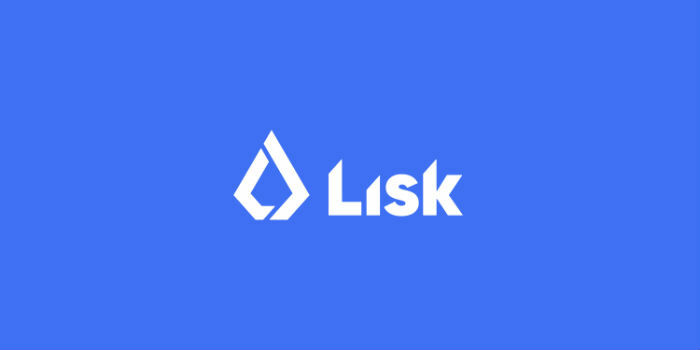 Lisk is a new altcoin, having launched on 24 May 2016, so this rise of Lisk's price is very noteworthy for altcoin enthusiasts. Here are 8 things to know about it. By this point, we are all familiar with the blockchain, usually defined as public ledger of all completed transactions. One problem that exists with blockchains is that it can be artificially bloated with test or fake transactions. When there are too many bad transactions, the ‘blocks’ get full faster and slow down the network (this is called ‘bloated’ network). No one likes a slow network. Enter Lisk’s solution, the sidechain. Sidechains are additions to the main blockchain. Think of it like Post-It notes applied on book pages - you can add more value yet not clutter the main text. Sidechains can be attached to independent blockchains and serve as a place to put all the high-volume transactions without interfering with the main blockchain. As a result, this will ensure a fast network all day, every day (in theory). You can read more about sidechains in the whitepaper or Richard Brown's simple explanation. Worth noting – Ether’s market cap is impressive, standing at 1.4 billion dollars at time of writing. Basically, Lisk for programmers and developers is like easy-to-use Wordpress templates for web designers. Instead of wasting time with complex coding languages, Lisk can be used to simplify the process of building, publishing, distributing and monetising applications without sacrificing quality. From February to March 20116, Lisk crowdfunded 14,052 bitcoins, or about US$9.76 million (as of current bitcoin price at the time of writing). That is a lot of money. It was the fourth-highest crowdfund for any cryptocurrency, ever. To be fair, it does pale in comparison against the #1 spot The DAO kind of overshadowed Lisk with a ridiculous US$164 million raised. How does a decentralised app (again, ‘dapps’) look like? The potential of the Lisk network, with its modular cryptocurrency and utilising sidechains is what Lisk is trying to show. In its main page, Lisk showcases some examples: Criterion (Concept; Proof of Existence), Dust (Concept; Decentralised Trust on Lisk), Discovr (Concept; A social network for artists), MarketPlace (Prototype; A Decentralised Store on Lisk) and BlockData (Prototype; Smart Home on Lisk). A quick look in the Blockchain Application section in the official Lisk forum yields some more ongoing projects, including ideas for an online card trading game and P2P drone delivery. The developer community is a tight-knit community, so it’s little wonder that Lisk started a Country Ambassador initiative to promote the Lisk ecosystem and help provide technical support. So far, they have 11 country ambassadors who were cherry-picked (you can’t volunteer yourself) to act as community managers in their respective countries. According to this document which detailed responsibilities of ambassadors, they are not paid for this role (although bounties are available). Last but not least, you should know about Lisk’s consensus model. Each LSK carries one vote, and only the top 101 users with the heaviest votes (ie highest number of Lisks individually owned) will be able to cast votes to carry forward motions and have a say in problem solving resolutions. You can learn more about the DPoS model here. Many comparison has been made between Lisk and Ethereum. However, CEO Kordek maintains that Lisk is ‘not competitor to Ethereum’. Currently ranking 8 on CoinGecko's overall ranking, Lisk also ranks as an altcoin with the 14th largest community and 13th most active development. As Lisk continues its momentum in the future, it will be interesting to note the improvement on Lisk's rank on CoinGecko. To wrap up, below is an infographic made by Kordek to show differences between Lisk and Ether.